This button will not be printed, so, don t mind if it covers some rooms. By clicking on this button some options will be shown, as detailed below. Please be aware that each time you make a choice it reflects over the whole document (the 22"x34" map, and the single pieces). • Numbers: hides room numbers, useful if you want use your own room numbers. • Fill: activate/deactivate the black in the walls and allows you to save more ink . • Toggle White/Yellow: this option toggles the rooms background from yellow to white and vice versa. • All: activate all options (if any one is disabled) or deactivate all options (if all are activated). 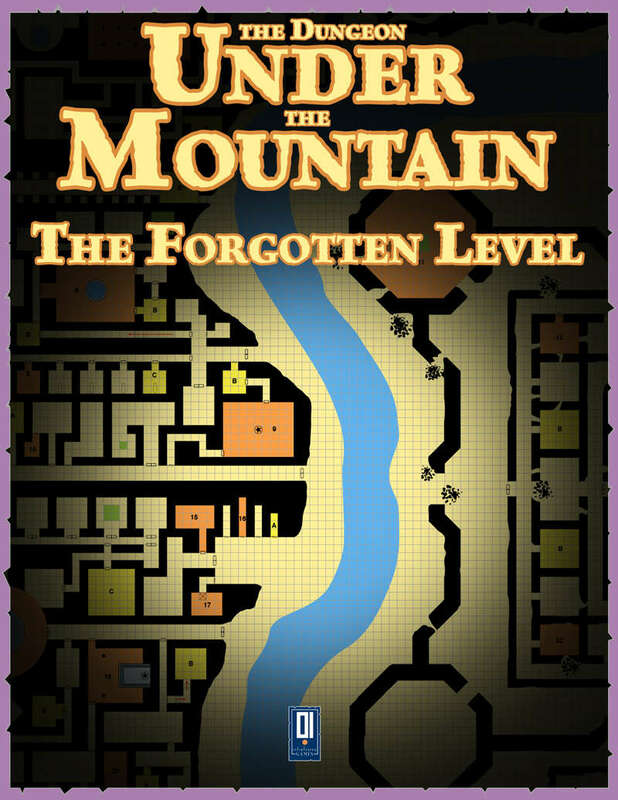 No one knows where the Forgotten Level is located. It can be reached only by teleports. Some adventurers report that a special rune is engraved near the teleport areas which lead to the Forgotten Level. The level itself features the usual cluster of dungeon rooms plus a massive underground castle now in ruin. It is said that the castle was built by a mad mage now disappeared. Is the prduct just for a map or is there a full write up populating the dungeon appropriately with traps, monsters, etc. ?